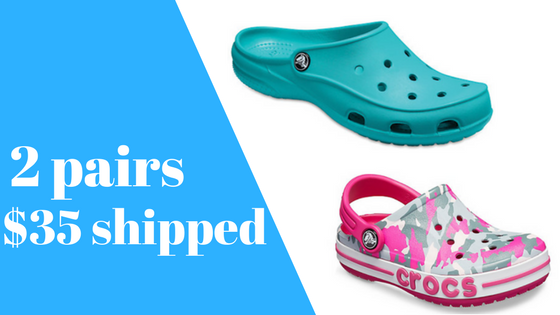 Home > Clothing Deals > Crocs Sale | 2 Pairs for $35! Crocs Sale | 2 Pairs for $35! Crocs is having a fun sale where you can get 2 pairs for $35 shipped. There is no code needed. Many of the shoes are normally around $30-$39 per pair so this is great savings! Stock-up for spring and summer. The sale ends 4/24. Shipping is FREE.